Thanks so much DBC for your prayerful consideration and your contribution to the 2019 Faith Promise Offering. Follow the link below to submit your commitment card. Come join us this year June 4-8 from 6:30pm-8:45pm for Vacation Bible School. What an exciting time to learn more about Jesus and have a life changing adventure!! Leave a comment if you have any questions, and follow the link below to register. As we introduced on Sunday the plan for all DBC members to read through the Bible in 2018, I have been reminded that many people were out of town or not at the service so here is a synopsis of our plan for the year. 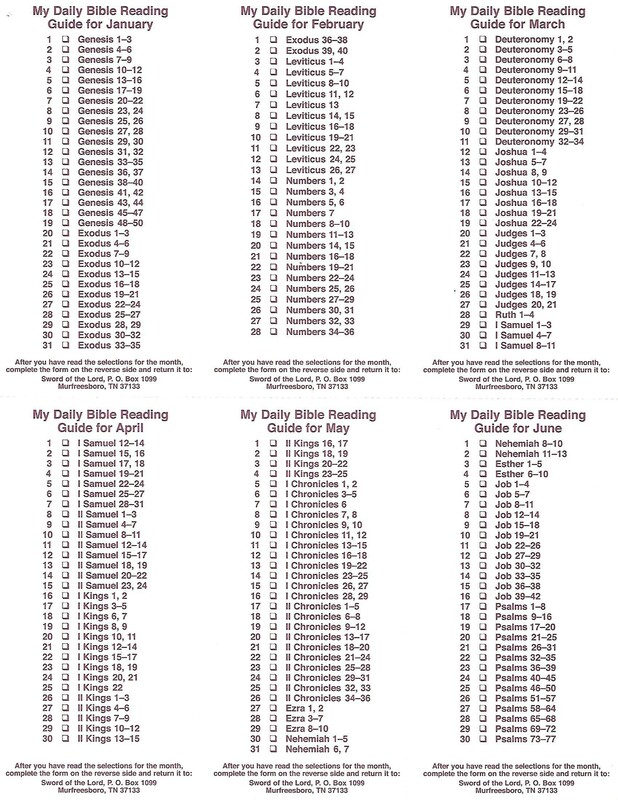 We distributed a reading schedule developed by “Sword of the Lord” ministries that allows you to check off a box as you complete each days reading. At the end of the month, as a church, we will collect and send the completed sections to “Sword of the Lord” and they will acknowledge your accomplishment with a gift. For those of you who want to get rolling, here is a link to the schedule for January through June. Reading schedule for January 2018-June 2018. Reading schedule for July 2018-December 2018. This is not to be in place of your quiet time. 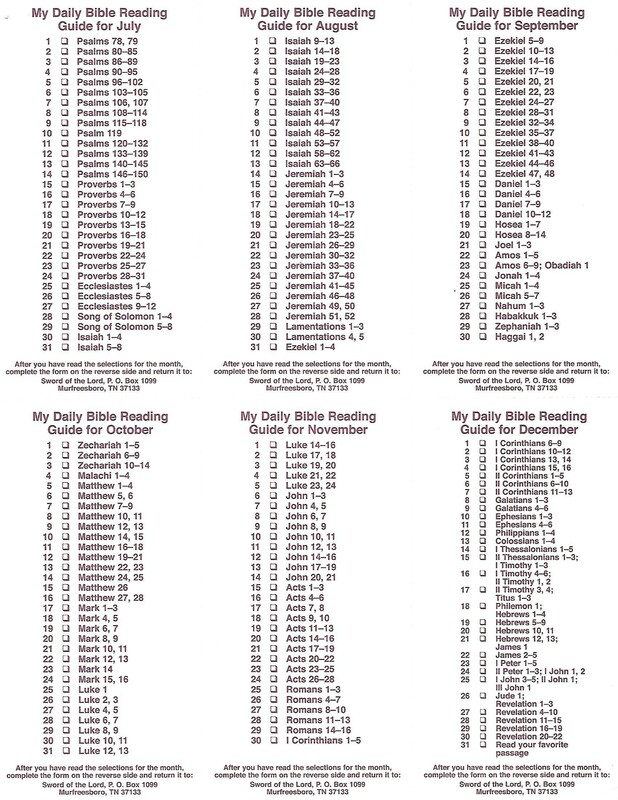 If you have read through the Bible before, DO IT AGAIN. Reading beats listening to it, but doing both is great. What a great thing it will be if at the end of the year we all can say we have read the bible cover to cover. We will then be DECATUR “we read through the” BIBLE CHAPEL! What a privilege to celebrate 26 years of God’s faithfulness to Decatur Bible Chapel this week. We thank the Lord for sending our Bro. Jon Glock to minister to us this week. We have been challenged, convicted, encouraged to be disciples worthy of following Jesus our Lord. Below is a link to his outline that was in the packets we received. God Bless!